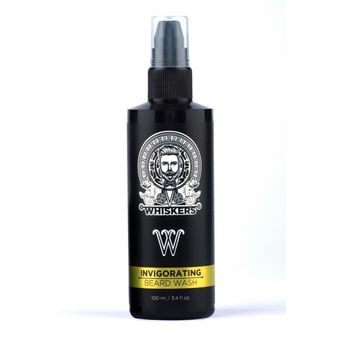 Invigorating Beard Wash is a true whisker ally that cleanses hydrates and softens your beard into manageable, stylized, appealing mane with its natural beard hair hydration formula which balances the hydrolipidic film. The beard wash effectively promotes the growth of the hair follicles and repairs damages to the healthy follicles making each of the hair strands nourished right from the root to tip. The face wash although gentle on the face gives a tough fight to dust, grease and works effectively on frizzy, hard stubble and rough skin.